If you have been trying to find cars for sale in Harrisburg PA, then look no further than Bob Ruth Ford. At your Bob Ruth Ford car dealers near Harrisburg PA, we have just what you are looking for when it comes to cars for sale in your area. Our car dealership near Harrisburg PA is known for having a large selection of new cars for sale near me. Easily choose from our incredible selection of new Ford cars for sale and find the new car of your dreams. Our selection of new Ford cars for sale near you has everything from new sedan cars for sale, to new hybrid cars for sale, to new Ford truck and SUVs for sale. We aim to make your Ford car buying experience as smooth and stress-free as possible when it comes to buying cars for sale in Harrisburg PA. Our friendly and knowledgeable Ford sales team are here to exceed all of your expectations when buying a new Ford car, SUV, or truck. When you are searching for new Ford cars for sale in Harrisburg PA, the only stop you need to make is Bob Ruth Ford. If new Ford sedans are what you are after in your search for your next new vehicle, we have just the one for you at our car dealership near Harrisburg PA. Sedans have a low ride height and low center of gravity. These features on a vehicle make cornering a breeze. They also offer great acceleration. As well as better braking, and fuel economy. You can find many comfort and convenience features on our new Ford cars for sale near you. Such as keyless entry, premium sound, and an auxiliary audio input. Steering wheel controls are another one of the options that may be found on the new Ford sedans for sale. Like on the new Ford Fusion for sale at our new Ford dealership near Harrisburg PA. Leather heated seats, navigation, and a power sunroof are available luxury amenities that may also be found in the many of the new Ford Fusion cars for sale near you. Keep everyone comfortable when it comes to the temperature with multi-zone climate control on this Ford car for sale. 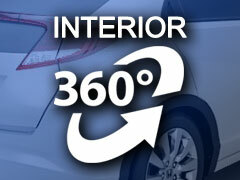 Now you and your passengers can be at your ideal temperature. No matter how hot or cold you like it with this feature on the Ford Fusion. When you drive a new Ford Fusion for sale, you can have peace of mind. Many of the new Ford Fusion cars for sale near me also comes with advanced safety features. Including AdvanceTrac Electronic Stability Control and more. A built-in backup camera with color-coded grid lines makes getting into even the smallest of spots is more accessible than ever before. As well as making parallel parking a breeze when you drive one home in a new Ford Fusion car for sale. When you are looking for a large selection of new Ford cars for sale in Harrisburg PA at a car dealership near you, come to Bob Ruth Ford. Do you have a vehicle that you are thinking of trading-in? We take in all types of vehicles in on trade at Bob Ruth Ford. It is always a great idea to trade-in your old car. It takes the hassle out of trying to sell it yourself. It may even help lower your monthly payments to keep the Ford Fusion that you want within your budget. Get your current vehicle appraised by our experienced used car expert today. If a new Ford Fusion isn’t the car for you, we even have an incredible selection of cheap cars for sale near you. You won’t have to give up on quality either when checking out our cheap cars for sale near you. Our cheap cars for sale near you go through a thorough inspection to ensure you are buying a vehicle that is safe to drive. Come out to check out our selection of cheap cars for sale near you today. While you are checking out our online inventory, be sure to view our current lease deals and finance offers. You can even check out our auto loan calculator to get an estimate for your monthly payment. Or, if you are looking to stay in a specific payment range, enter that information and find out an estimated purchase amount to look for in your next car. From new Ford cars for sale near you to cheap cars for sale, we have what you want at Bob Ruth Ford. Call to schedule an appointment to schedule a test drive today at (877) 818-1593. Or, stop in at Bob Ruth Ford today at 700 North US Route 15 Dillsburg, PA 17019.